Hiddex Portable is easy-to-use security tool. 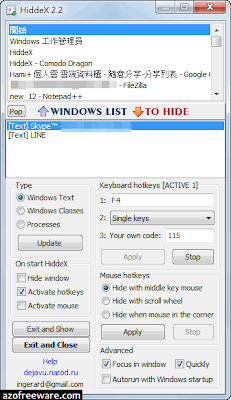 It allows you to hide any window, program, browser or game in the background with one click or hotkey. The program instantly hides specified windows from your desktop and taskbar without closing them. 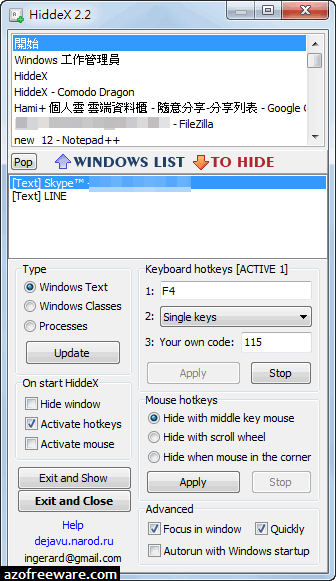 Click ones to hide and ones more to restore all hidden windows without any loss.